Hillary Clinton on Tuesday promised to make starting a small business "as easy as setting up a lemonade stand in the front yard." Simplifying taxes and creating new breaks: Clinton wants to create a standard deduction for small business owners much like the one that individuals can claim. The proposed standard deduction is intended for people who run businesses out of their homes, operate local mom-and-pop shops or sell their products online at sites like eBay and Etsy, according to the campaign. That means they would not have to file forms documenting overhead costs, such as computer and phone use. Use of the standard deduction would be optional. Clinton didn't propose how large the standard deduction should be or how "small business" should be defined to prevent larger businesses or wealthy individuals from benefiting. For that, the campaign said she'd ask the Treasury Department to work with small business policy experts and owners to come up with the specifics. Clinton would also let small businesses immediately write off up to $1 million in new investments. Today they can write off $500,000. She also wants to make it easier for firms with fewer than 50 employees to qualify for the health care tax credit that companies can take if they provide insurance to their workers. It's not clear how much Clinton's proposals would cost or how she would propose paying for them. Her default solution to pay for new programs and tax breaks has been to tax affluent households. In addition, she would quadruple the tax deduction that new small businesses can take for their start-up costs. Currently they can write off $5,000 of business start-up costs assuming those costs don't exceed $50,000. Under Clinton, they could write off up to $20,000. She would also allow small business owners -- those with $25 million or less in gross receipts -- to choose a simpler accounting method than often required for tax purposes. Reducing licensing burdens: Roughly 25% of workers must be licensed to work in their occupations, up from less than 5% back in the 1950s. While many licenses are essential to ensure public health and safety, not all are. In either case, however, the time and cost of obtaining them can be a barrier to entry for many, as can rules that require workers to get re-licensed when they move to a new state. 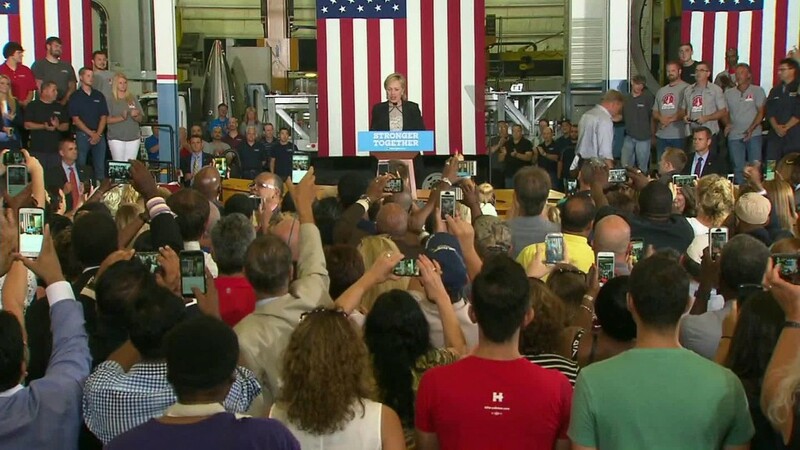 Clinton wants to incentivize states and localities to make getting a license faster and cheaper. Those that do streamline the process would be eligible for federal funding to offset the licensing revenue they may lose in the process. She also proposes to standardize licensing requirements across states and make it easier for very mobile populations -- like military spouses -- to get up and running in a licensed occupation when they move to a new state. Making it easier to finance a new venture: Clinton wants to streamline regulations on community banks and credits unions, which provide a lot of small business lending; let small business entrepreneurs defer student loan payments interest-free for a period of time while starting their venture; and expand a number of Small Business Administration programs that foster financing.